In the deep villages of Masaka District, you can find the beauty of the Ugandan landscape as you peer across lush green valleys and traverse narrow dirt paths that serve as roads. Only 25 minutes apart, amidst a landscape dotted with schools, sit 2 humble yet overflowing primary schools: African Hope Day & Boarding and God Cares Primary. These two hold one significant similaritiy: both are UWP Project sites, sponsored by McDonogh School in Baltimore, Maryland. 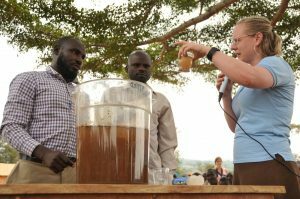 McDonogh’s ties to the Ugandan Water Project are part of the legacy of Lizza Irvine, a music teacher at the school. Her long-standing relationship with UWP brought McDonogh in three years ago, tying service learning to the school’s educational goals and core values. In 2016, UWP and McDonogh partnered to create and implement a day-long service learning day for the 6th grade students called the Day of Water. 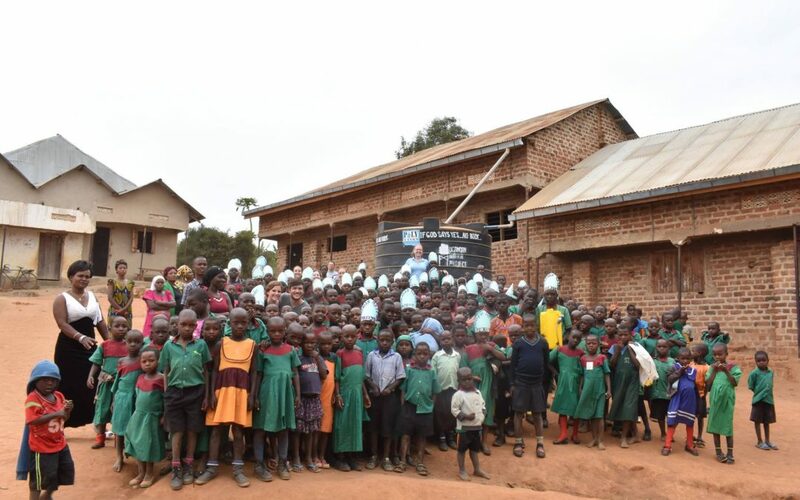 Students walked through hands-on lessons to imbibe a greater understanding of the global water crisis, how it affects Uganda, and how they could be part of the solution. The potential of these young world-changers was put into action, and the outcome was incredible: funding 3 rainwater collection systems! Lizza trains school administrators on use and maintenance of the Sawyer PointONE filter. Two of these water projects were installed at African Hope and God Cares in January 2017, but for Lizza, the circle was yet to be complete. As a veteran UWP team member, she has seen first-hand the need and the solutions that UWP employs – part of her driving motivation to connect McDonough and UWP. As a part of UWP Team #23 though, the reason for going was different: to visit the water projects that her students helped to fund! On July 17th, 2017, Lizza stood on the grounds of these very Ugandan schools. Standing amidst crowds of children waving palm branches and singing songs of welcome and joy, listening to poems about how the rainwater collection system has changed and improved their lives, and sharing with parents and community members about the Sawyer PointONE filters became poignant. To bring McDonogh’s story to the teachers and students of these rural and remote primary schools was a connection that was overwhelming. It was Lizza’s full circle day. 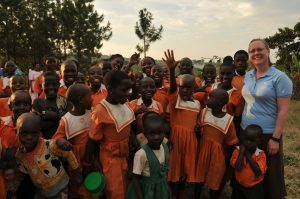 In the same way that Lizza shared about McDonogh with these Ugandan schools, so too will she bring back the stories, connections, and photos from this place back to the students who made it all possible through sacrifice and love put into action.